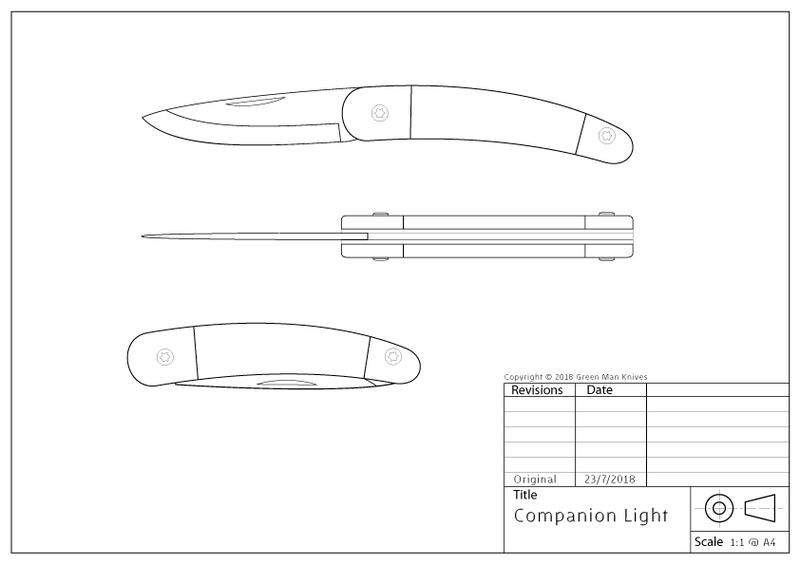 This version is lighter than my standard Companion design. It’s 72mm long blade is made from RWL-34, the superb stainless blade steel from Sweden and the liners and bolsters of the handle are in marine grade stainless steel. The handle scales are made of desert ironwood.